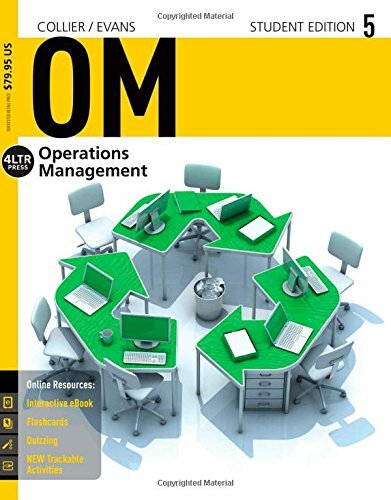 1285451376 -Created through a “student-tested, faculty-approved” review process with input from more than 150 students and faculty, Collier/Evans’ OM5 provides a streamlined introduction to the core concepts, techniques, and applications of contemporary operations management. This concise, engaging, and accessible text includes a full suite of integrated learning tools–including flashcards, cases, datasets, games, and quizzes–in a convenient and affordable package perfect for today’s diverse learners. OM5 provides the latest examples featuring companies students will recognize from the news as well as videos for every chapter, case studies and end-of-chapter problems with exciting new material online. Five additional chapters online enable readers to delve further into the quantitative aspects of operations management.